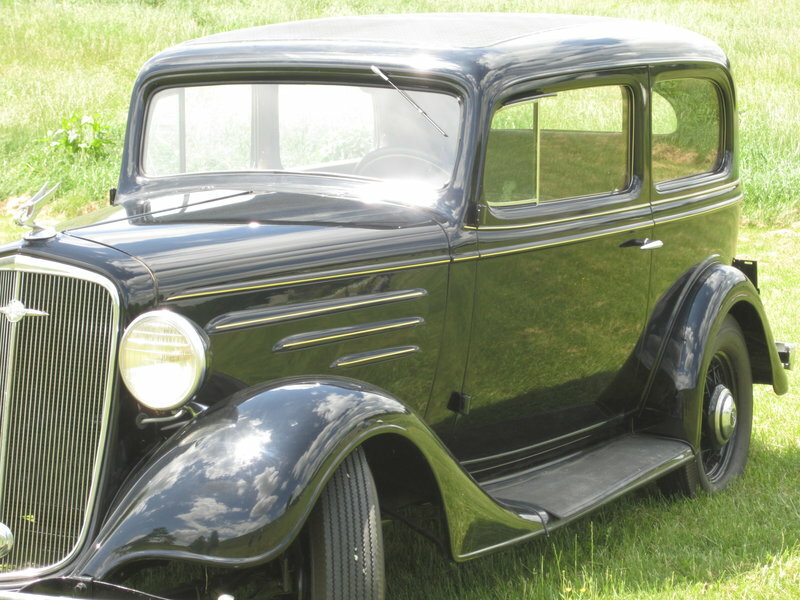 This vintage 1935 Chevrolet was bought new by my grandparents and has never been owned outside of the family. It has original 38, 986 miles on it. It has body by Fisher. The original six-cylinder engine (rebuilt2018) - with its 80 horsepower and 80 per hour speed. Always garaged and has not been modified. It is professionally finished in Raven Black with yellow pin stripe. The interior was reupholstered a few years back in the same type of custom woven mohair. It has 3-speed manual on the floor gear shift. The chassis utilizes a beam front style and leaf springs. The brakes are 4-wheel mechanical drum. It has 17 inch like new tires and a rear mounted spare tire with cover. It is ready to drive in your parades or vintage car tours. Unfortunately, there are people out there who will use classifieds to get your money. Here are some ways to avoid these scams. Use skepticism and good judgment. Be wary if the price is notably below market value. Be prudent with International transactions. A good number of buyer/seller fraud attempts originate from overseas. Confirm contact information. Legitimate buyers/sellers will provide valid information, including phone. In almost every case scammers will convey a sense of urgency.